We homeschool moms are pretty thorough human beings. Having taken on the responsibility of educating our own children, we tend to give it our all. We plan for days and weeks on end. We check off our extensive lists. We buy pretty little motivational stickers. We schedule our day as if we were teacher of the year. We spend hours and hours a day pouring information into our children, just as a good homeschool mom should. Until it all comes crashing down on us. Despite the many different backgrounds and lives that we homeschool moms may have, one thing that seems to be pretty common with all of us is that we start this journey at a sprint instead of realizing that this is going to be a marathon. Who can blame us? It’s exciting to take the reins on our children’s education. It’s a rush to feel that blast of freedom that comes with the homeschool life. Unfortunately, though, that adrenaline we feel at the beginning all too often causes us to take on too much, too soon. Before you know it, our homeschool days become a source of heartache, rather than a source of joy. That homeschool freedom morphs into a feeling of helplessness as we find our homeschool days getting longer and longer, and our patience getting shorter and shorter. Thoughts of that big yellow bus begin to plague our thoughts…. As someone who has been there and done that, let me reassure you that there is a better way. 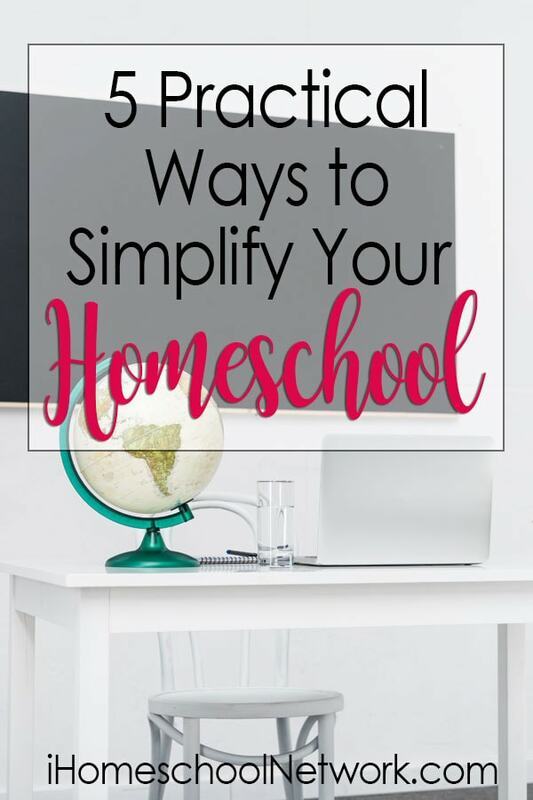 Homeschooling doesn’t have to be about busyness, chaos, and stress. When it comes to homeschooling, less is more. Today I’m going to help you achieve that. 1. Stop trying to fit every subject in every day. Let’s face it. There are a lot of things your kids need to learn, but they don’t need to learn them all right now. Rather than trying to squeeze eight subjects into an already hectic day, try doing four instead. You might be able to check off more boxes if you do eight, sure, but how much of that will actually be retained? It’s a far better thing to approach fewer subjects at a less frenzied pace in order to allow your children to grasp what they’re learning and hold on to it, rather than memorize several snippets of information only to be forgotten at a later date. 2. Combine your subjects instead of teaching them separately. Just as everyday life isn’t broken into subjects, your children’s education doesn’t have to be, either. If your daughter is reading a biography of Nikola Tesla and writing a report, why should she also have to do a separate history and science assignment that day? 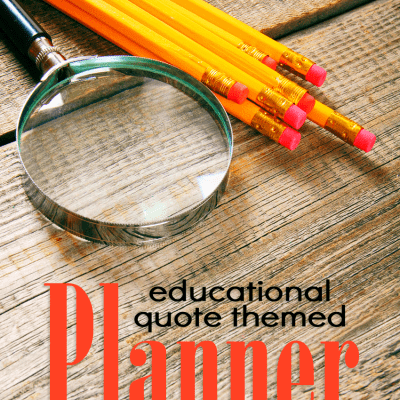 That one activity alone easily covers four subjects – reading, writing, history, and science. Take advantage of that and consolidate your school day. Another great way to combine subjects is with unit studies. Since unit studies are cross-curricular, there is no need to teach anything separately, other than math and, possibly, language arts. Imagine the relief you’ll feel by freeing up half of your homeschool day when you remove the need to use five different textbooks each day. 3. Teach your children together. Just because schools separate children by age doesn’t mean we homeschoolers have to! Children of varying age levels can easily learn subjects like art, history, science, geography, and music together. That leaves only language arts and math to be completed individually, and in some cases, even those can be combined. Oh, and remember those unit studies I mentioned earlier? They can be used with multiple age levels, too. 4. Get rid of those textbooks. Textbooks are one of those things that seem to be a holdover from our public school days. Since most homeschooling parents were educated with the use of textbooks, it can be hard to let go of the notion that they’re the only way to learn. The fact is, though, not only do textbooks not work for a large number of children, but using a separate book for every subject is time-consuming! If you find your days are taking way too long, consider limiting your textbook use for the basics – language arts and math – and allowing your children to follow their own interests the rest of the day. Some other options to use besides textbooks are living books, unit studies (yes, again), and life learning, which is way more valuable than people give it credit for. 5. Read to your kids every day. Homeschooling is truly one of the greatest gifts you and your family will ever enjoy. The key is to always remember that busyness does not equal excellence. When it comes to learning, less is more. A simple homeschool is a happy one.